Do you have an elderly relative that you worry about? Is it obvious to you and others that they can no longer live independently? For many family caregivers like you, it’s a time of decision as you figure out what your aging loved one wants and what is best for them. Most elderly adults don’t want to leave their home to live in a full-time facility and will usually resist that option. The good news is that seniors can often get the help they need without going anywhere, thanks to elderly care providers. Disease, illness, surgery, or other age-related conditions often limit what elderly adults can do for themselves around the home. Common conditions that limit independence include diabetes, osteoporosis, depression, dementia, chronic obstructive pulmonary disease, the after-effects of a stroke, and Parkinson’s disease. When they try to do many daily tasks, they either strain themselves to do so or they simply cannot do it. Some seniors don’t want family members to know they are struggling, while others demand more help. Why Choose Elderly Care Providers? Elderly care providers are an ideal solution for seniors who really want to age in their own home but simply cannot do everything they need to stay safe and healthy. On the other hand, family caregivers cannot always drop everything and meet their aging loved one’s needs. The solution to both problems lies with elderly care providers. Family caregivers can choose elderly care providers because they are compassionate, professional and well-trained to care for seniors. They can be scheduled to arrive at the elderly person’s house whenever they are needed. 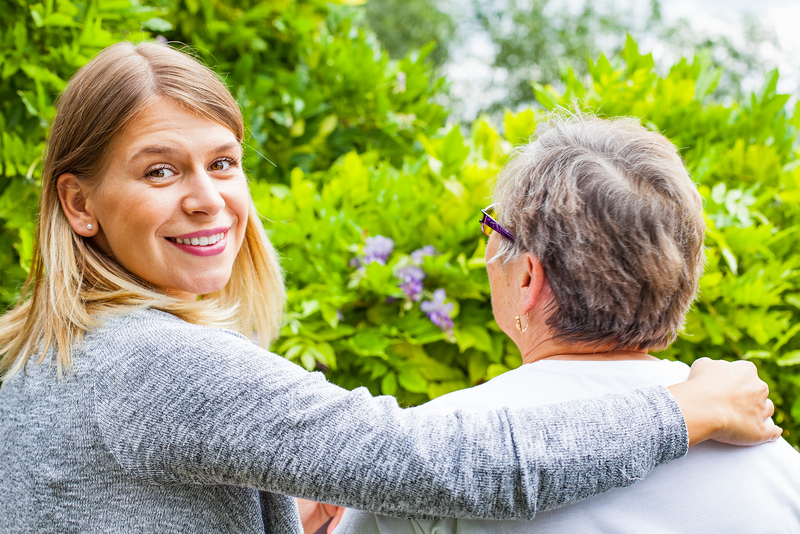 The best part about hiring an elderly care provider is that they are dependable and always available, giving family caregivers access to someone they can rely on day after day. There’s no downside to hiring an elderly care provider, and if you are seeking some regular respite time, it’s the best way to proceed. Elderly care providers can take over some of the more mundane tasks that cause you to stress. Elderly care providers can help seniors with showering or bathing, grooming and hygiene. When it comes to caring for the house, elderly care providers can do light housework such as dusting, vacuuming, sweeping, wiping down surfaces and doing dishes. This comprehensive service gives you time to leave for a while and enjoy some respite. You’ll be able to take some time for yourself, guilt-free, when you know a caring professional is watching over your dependent relative. If your aging parent can no longer live alone, get help for both of you and hire an elderly care provider right away. If you or an aging loved-one are considering Elder Care in Del Mar, CA, please contact the caring staff at Golden Care today. Call us at 760-828-5201.